Rebecca Jane Powell Franklin, 80, of Fredericksburg died on Wednesday, January 30, 2019. Rebecca was the fourth of five children of Frank Preston Powell and Mary Glades Powell of Sweetwater, Tenn. She graduated from Sweetwater High School and then attended Stephens College of Columbia, Mo. and graduated with an Associate of Arts degree in 1958. Rebecca then graduated from the University of Tennessee with a Bachelor of Arts in 1960. She received her Master of Education from Auburn University in 1978. Rebecca married Marion McCoy Franklin of Madisonville, Tenn. in 1960 and together they raised two children, Elizabeth “Betsy” McCoy Franklin Lewis and James Christopher Franklin. She taught English, French, gifted education, and art to the elementary through the high school levels in Lenoir City, Tenn., Decatur, Ga., Whitesburg, Ky., Mt. Juliet, Tenn., West Point, Ga., La Grange, Ga., and Tupelo, Miss. Rebecca was an accomplished artist, trained at the University of Tennessee and Auburn University, and was a member of the Mississippi Art Colony. 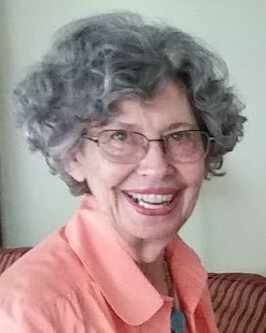 She and her husband, Coy, retired to Banner Elk, N.C. in 2003 and lived there together until 2016. Rebecca was a loving wife, mother, grandmother, sister, teacher, and friend, who encouraged and celebrated creativity. Survivors include her husband of 58 years, McCoy Franklin; daughter Betsy Lewis (Ralph) of Fredericksburg, Va.; son James Franklin (Whitney) of Delaware, Ohio; grandchildren Emma Lewis, Cailey Franklin, Eva Lewis, Samuel Lewis, and Logan Franklin; sister Mary Beth Rogers of Americus, Ga.; and many nieces and nephews. A memorial service will be held at 2 p.m. on Saturday, February 23, 2019 in Madisonville Presbyterian Church in Madisonville.